Everyone knows about Frozen, even those who live under a rock probably know about this film. In 2013, it was one of the most anticipated movies of the year. I don't know how, but everyone on Tumblr seemed to just know that this movie was going to be a hit. Even though no official trailer had even been released at the time, they were all already huge fans. I was skeptical; I like to do my research and watch at least one trailer before knowing if I want to see a movie or not. Granted, I was curious because all of the commotion. When was the last time a Disney movie had this much anticipation and excitement so many months before it premiered in theaters? Fast forward to the second week of November. My roommate and I had the opportunity to attend the Disney Parks Blog media event for the premiere of Disney California Adventure's new nighttime spectacular, World of Color: Winter Dreams. I had been hearing about this show for a while now, since I worked the original World of Color for the past couple of months. I was excited but a little nervous because I loved the original show so much. As soon as the show started with, "Olaf presents...." instead of the usual "Walt Disney presents..." I knew I wasn't going to be happy. Sure enough, Olaf talked the ENTIRE duration of the show, and there were two complete songs from Frozen and many little snippets from the movie. Keep in mind, Frozen hadn't even come out in theaters yet. We had guests that were incredibly confused because they didn't know much about Frozen at that point. Many parents even thought Elsa was Tinker Bell. In essence, Winter Dreams was just a way to market and promote Frozen, which made me rather upset. The movie finally premiered in theaters and EVERYONE was even more obsessed than before. There hasn't been a day where I haven't seen a little girl wearing an Anna or Elsa dress in the parks when I'm at work. Olaf was everywhere. I couldn't even walk around my apartment without hearing someone sing or even play "Let it Go" on the piano. Heck, even I was singing "Let it Go" at the top of my lungs in my room every once in a while. I saw the movie in December and thought it was cute, but I wasn't ecstatic over it. When I would tell people I thought it was okay, but found Tangled and Wreck-It Ralph more of my personal preference, I'd get attacked by people on Tumblr and even sometimes my friends. How DARE I not like Frozen. IT'S PERFECT IN EVERY WAY. OLAF IS ADORABLE AND ANNA IS MY SPIRIT ANIMAL. Okay, I get it. You like it. But that doesn't mean I do. I ended up working Winter Dreams three times a night, five days a week during the Christmas season in the parks. You could say I was definitely tired of Olaf and the show in general. My favorite part of the show was in fact "Let it Go," but overall I severely missed the original World of Color. Once the Christmas season was over, everyone was still going crazy over Frozen. Merchandise was constantly sold out, Disney released a sing-along version of the movie in theaters, and the film won Best Animated Movie at the Oscars (no shocker there). In 2014, Disney announced the "Frozen Summer Celebration" in Hollywood Studios in Walt Disney World. (Which makes perfect sense...a movie about snow...celebrating the summer.) This was the first event that I was a little put off with...DHS is my favorite park in Florida, and absolutely nothing about it screamed "this is the perfect place for Frozen." I understand they needed to attract more guests over the Summer because of Universal's grand opening of Diagon Alley, but I still found it a bit of a stretch. Anna & Elsa promo for "Frozen Summer Celebration"
Next, Disney announced a new Frozen attraction to replace the classic Maelstrom ride in the Norway pavilion in Epcot. This created many mixed feelings, many of them negative. Maelstrom was a classic, and Frozen took place in a fictional town. I personally wasn't a fan of Maelstrom, so it's a lesser of two evils for me in this particular situation. All of these instances were tolerable. I kept thinking, "Okay, they've promoted as much as possible. New movies are coming out in the Fall. They have to start shifting their focus onto something new." I was so, very, very wrong. Frozen characters were introduced into the ABC show "Once Upon a Time." 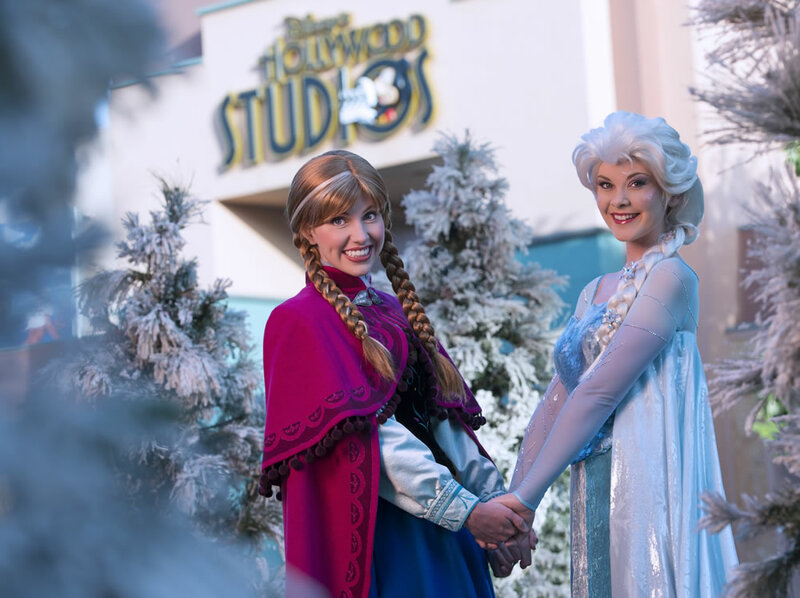 Studio Disney 365 in Downtown Disney in Anaheim was changed to "Anna and Elsa's Boutique." Anna, Elsa and Olaf were added into the Christmas Fantasy Parade in Disneyland. Elsa, Anna, Kristoff, and Olaf replaced the Fairy Godmother and Cinderella to host the lighting ceremony of Cinderella Castle, called "A Frozen Holiday Wish." The classic Disney Christmas Day Parade was renamed and changed to, "Disney Parks Frozen Christmas Celebration." Winter Dreams returned, this time with less Olaf, but overall more Frozen. "Do You Wanna Build a Snowman?" and "Love is an Open Door" were added to the mix of the show. There have also been rumors of Frozen taking over certain attractions in DCA (which have not been confirmed at this time). While I understand that it's smart to use something that's incredibly popular to make money and attract guests, but I feel like there is such thing as too much of a good thing. Overall, I just don't see Frozen to be worth all the craze. I've almost forgotten that it's even possible for other movies to have any kind of spotlight anymore. If you think something Frozen can be done, it seems to always happen. Meanwhile, movies like Big Hero 6 are skyrocketing in popularity, even with minimal advertising and promotion. Have they done much about this movie since? No. Nothing in comparison to their Frozen marketing. This was a slightly longer rant than I intended it to be, but the main idea is I've had enough of Frozen. I still have only seen the movie once, and I do enjoy the songs every once in a while. But the constant exposure and overflow of this movie has turned me off. I can't stand it when people just tell me to "let it go." 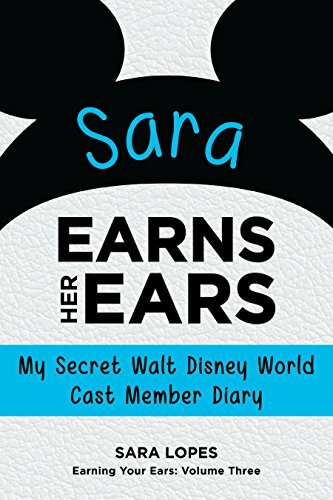 I'm usually just fine with whatever Disney decides to promote and market, but this is getting out of hand. If you still like Frozen, that's great! I'm not saying you shouldn't! But this is just my opinion on why I'm growing tired of everything. It's time to move on to something new. Just recently they announced that the Mad T Party show in Disney California Adventure was closing to make room for a Frozen-themed event. They claim it's a temporary closure, but no one is certain if the Mad T Party will return and a lot of fans are crushed. I'm also in the boat of 'Hey if you like Frozen, that's great!' I wouldn't mind so much if they just added more Frozen at the parks. But what hurts now is that Frozen is REPLACING fan-favorite attractions and we're expected to be okay with it. I completely agree with you. Frozen is okay, but Tangled and a good number of the other more recent Disney movies are far better. Frozen lacks depth to its characters. The rock trolls are cute, but utterly random with no back story or reason for existing prior to their advice being sought out. And what happened to Kristoff's parents? The opening of the movie leads people to believe that he's the son of one of the ice men, but that's not the case. I have never understood the obsession that arose from this particular movie and I personally cannot stand Olaf. I feel like even his comic relief was too forced and "on the nose." I also find it objectionable to how Disney is bending over backwards to add Frozen to everything. Traditions are being forsaken just to make an extra buck, which is thoroughly disheartening. Thank you, Sara, for posting my exact thoughts on the Frozen craze. I also work at the "big toy store" and formerly at DHS and I have similar misgivings to not just adding Frozen but replacing others with it. Also, like you mentioned, it's come at such a loss for the other franchises! I'm asked every so often (and so much less often than I should be) where Alice/Wreck-It Ralph/Tiana things are... they aren't, unfortunately. And /that/ above all else makes me sad. oh my god this is everything right on the money! this movie has so many holes in the plot, the characters are weak, and the anna and elsa craze makes no sense! Agreed with 100%.....I mean really this craze has gone over the top, a tad too far and way beyond OVER RATED that it's more less killed off anything and everything Disney related today. The Christmas parade I remember sucked monkey balls, barely showing anything of the parade and focused more on the songs that were played in Frozen that we've heard over a GAZILLION TIMES now, the stores are packed FULL of Frozen stuff....I'm a Bh6 fan and it hurts to see that movie's attempted popularity shoved aside in favor of Frozen. Hell, even Disney's latest movie Inside Out is getting the same exact treatment. One person actually screen shot a wikipedia page about a Inside Out character with an advertisement for FROZEN on it. UGH, give it a rest Disney seriously. It's fine if people love it, but what's not fine is having it literally SHOVED down your bloody damn throat by not only fans of the movie, but Disney themselves. Now there's Frozen cheerios (basically Frosted Cheerios with the Frozen name on it) that costs $4.00 a box because it's limited collectors edition.....SERIOUSLY who the hell collects FOOD unless you're a damn food hoarder, Frozen brownies which all that it is is brownies with blue frosting and snowflake sprinkles on it and a tiny little cake no bigger than an average circle with a slab of blue frosting both in between and on top, not the entire cake is covered, just the middle and top and snowflake sprinkles. Guess how much grocery stores are asking for.....the brownies $5.99, the cake $4.49. Really it's just out of control now. I hated that movie. I only like the characters. Heck, I even have Anna and Elsa dolls from the Disney store. But the movie it's self I can't stand. Especially the song "let it go".In fact, I also found the movie kinda disrespectful to the author of the snow queen, Which is the story that inspired frozen. His name was Hans Christian Anderson. And Hans is the name of the villian. Now, everyone who even hears that name will think of him instead of the great story teller that should have been honored. I found that rather sad.